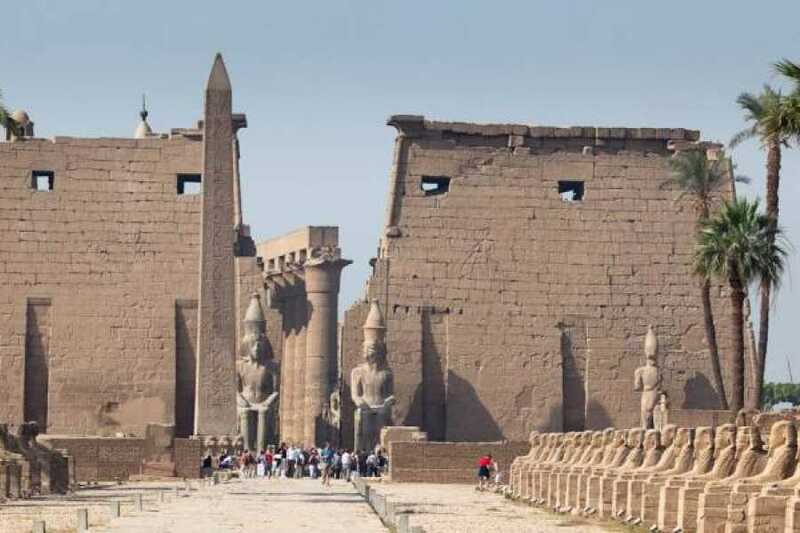 The ancient Egyptian sites of Luxor’s West Bank are so spread out that a tour is your only option. Beat the crowds with your own private guide and check off the highlights in just half a day: the Valley of the Kings, the Temple of Hatshepsut, and the Colossi of Memnon, complete with temple excavations. Your tour includes snacks, bottled water, and round-trip private transfers but entrance fees are at your own expense. Start your tour visiting Valley of the Kings, the magnificence of the grandeur of architecture which was used for burial, there are many kings buried in this valley. You will visit 3 tombs excluding Tomb of King Tutankhamun (Extra charge). Move on to enjoy the Temple of Queen Hatshepsut, which was built by Queen Hatshepsut, daughter of Thutmosis I, who ruled Egypt about 20 years during the 18th Dynasty (approximately from 1490 to 1469 B.C), the only pharaonic woman who reigned ancient Egypt. You will stop by the Colossi of Memnon for about 15 minutes, and also at the mortuary temple of Amenhotep III.